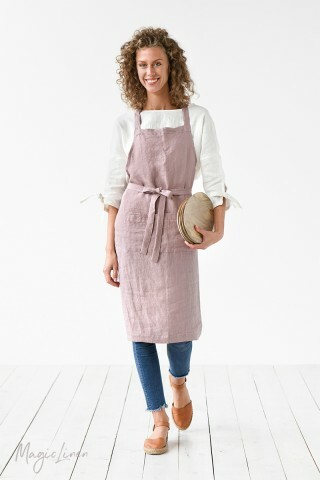 Linen waist apron available in all MagicLinen home textiles colors. 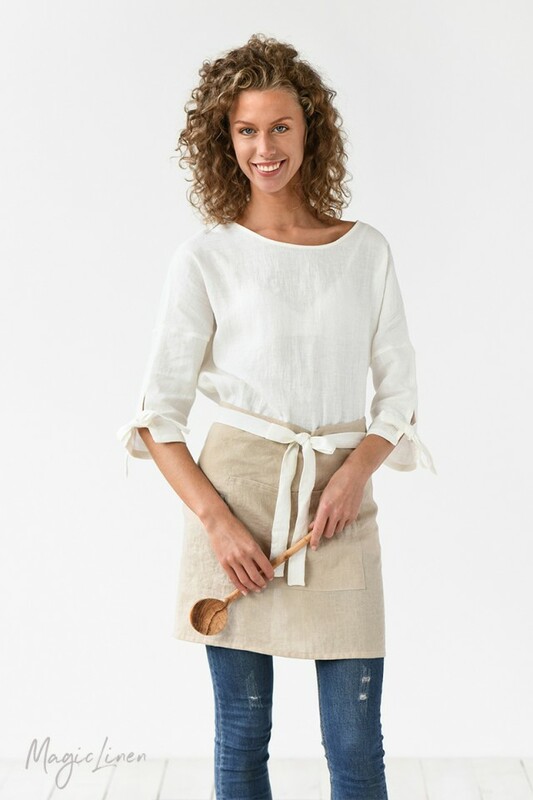 Take your cooking and gardening experiments to the next level with a stylish and functional linen half apron. 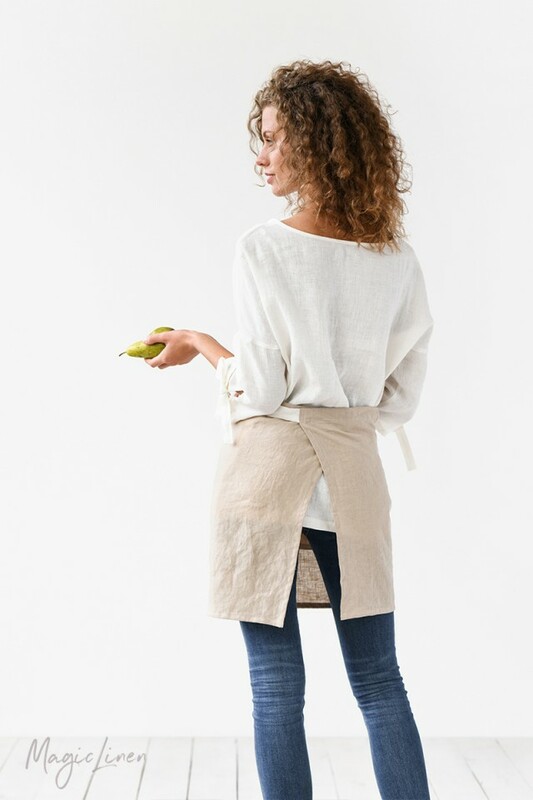 Durable, absorbent, and easy to care for, linen is the perfect fabric to protect your clothes from damage. Designed to have a unisex look and fit.